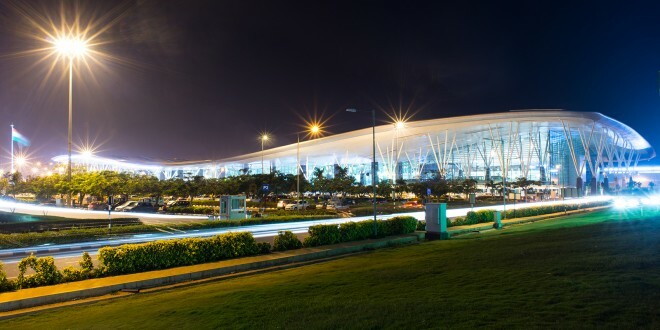 Bangalore’s Kempegowda International Airport (KIA) is once again the third busiest airport in India after New Delhi IGI and Mumbai CSI airports. KIA has gone past Chennai to claim the top spot for southern India. 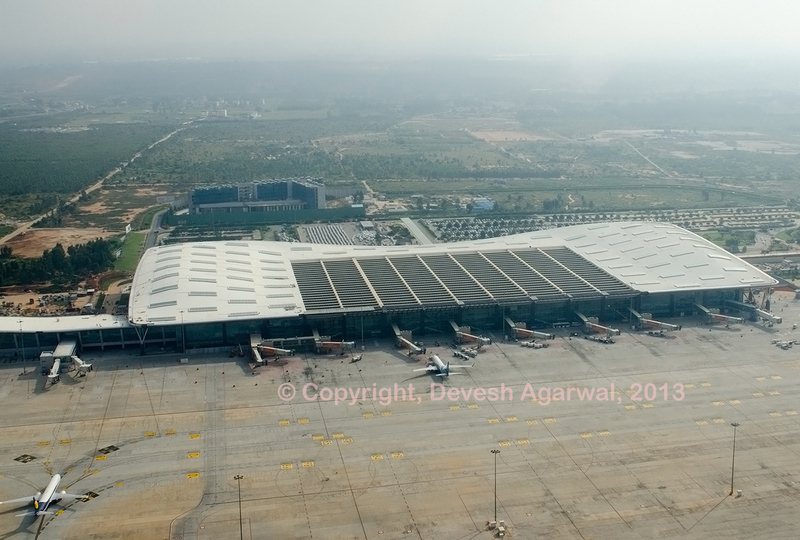 The airport will cross 15.24 million passengers for the fiscal year 2014-15 which ended on March 31, 2015. A 75% increase from the 8.24 million the airport commenced with in fiscal 2008-09, its first year of operation. 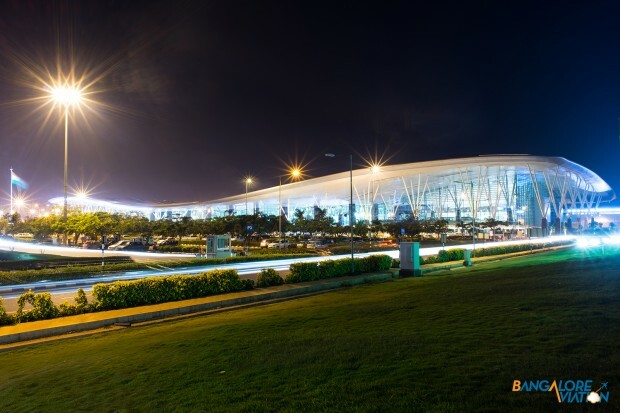 The 2014-15 passenger traffic report released by airport operators Bengaluru International Airport Ltd. (BIAL) shows an overall passenger traffic increase of 19.3%, 21.4% domestic and 11.2% international. Bangalore Kempegowda and HAL airports, traffic statistics. 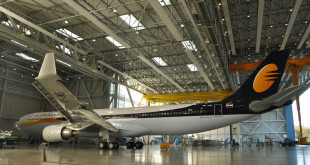 Freight too, registered a growth of 15.9% overall, 25.3% domestic and 10% international, underlining the importance of air cargo in the high technology, food, pharma, and other high value, perishable products that dominate Bangalore’s industrial output. Like passengers, freight has grown 75%, from 160,000 metric tonnes annual to 280,000 tonnes, since the airport commenced operations. The airport cargo terminals are creating infrastructure to cater to cold chain requirements of industry. Curiously aircraft movements (ATMs), have not registered a significant increase. ATMs rose 13.2% this fiscal year and a mere 18% since the airport opened. The growth in passenger numbers without a corresponding growth in aircraft movement reflects a growth of 48% in number of passengers per aircraft. 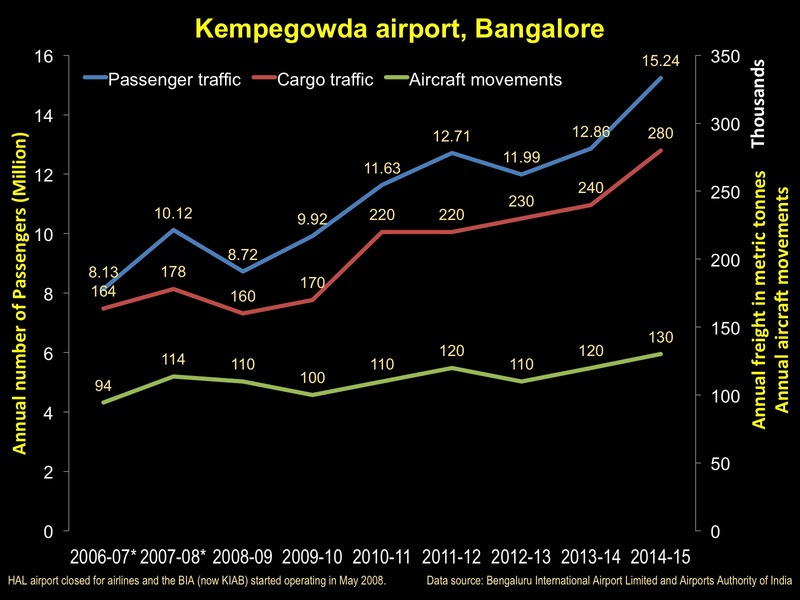 This is due to the growth of low cost carriers which have higher passenger load factors and larger aircraft operating out of Bangalore. The ATR72-500 turbo-props which once were a common sight have all but disappeared from Bangalore after the demise of Kingfisher Airlines and the curtailment of ATR operations by Jet Airways at Bangalore. Previous Qatar Airways upgrades Doha Bangalore to Boeing 777. Economy class boon.